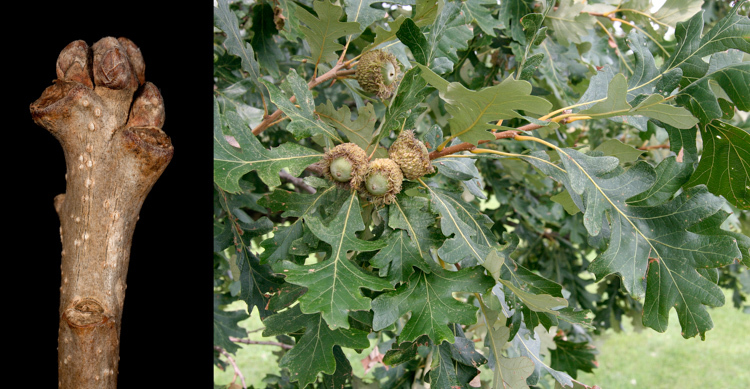 Bur oak is an example of a white oak (group). The leaves are blunt-lobed, lacking bristles at their tips. The buhs too are blunter than those of the red oak group. Bur oak twigs and a fruiting plant just because. 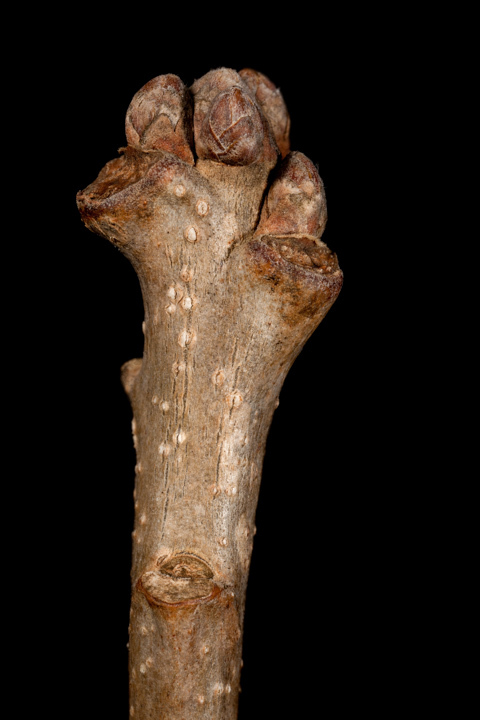 Oaks have clustered false end buds. The scales are imbricate (shingled). The pith is star-shaped n cross section. Oak twigs have clustered end buds.